Seller will get mail notification in every order of his product. He would get a no-reply message from MyHalalMarket system instantly after a order. 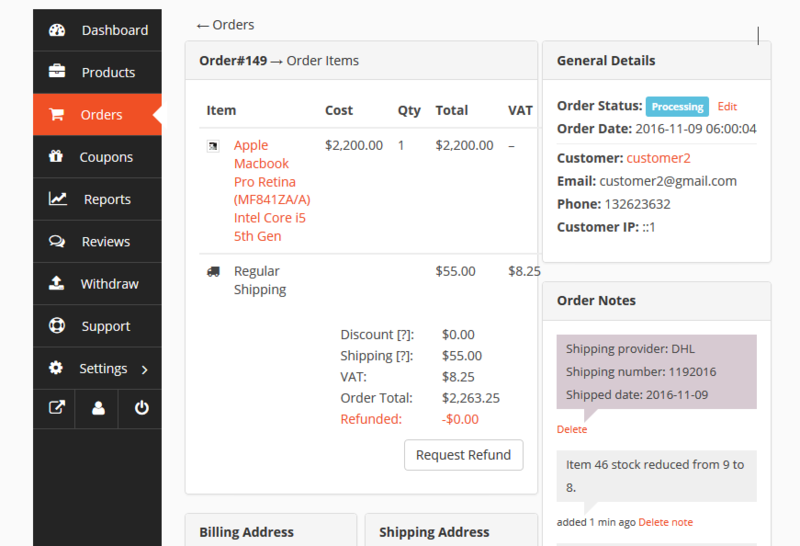 Order page displays the order detail in list. 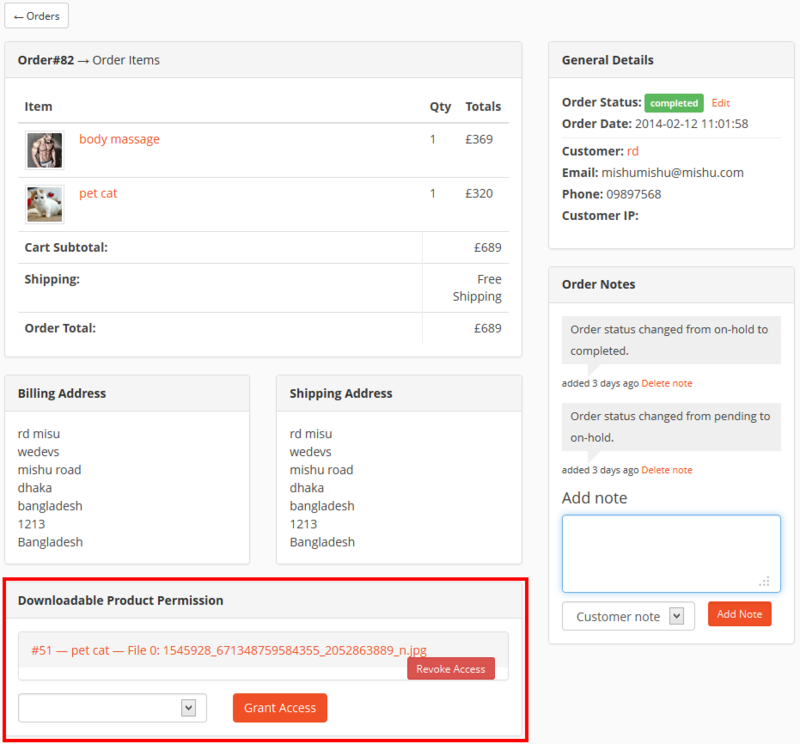 This page shows order number, order total amount, order status, customer details, order date and order action. 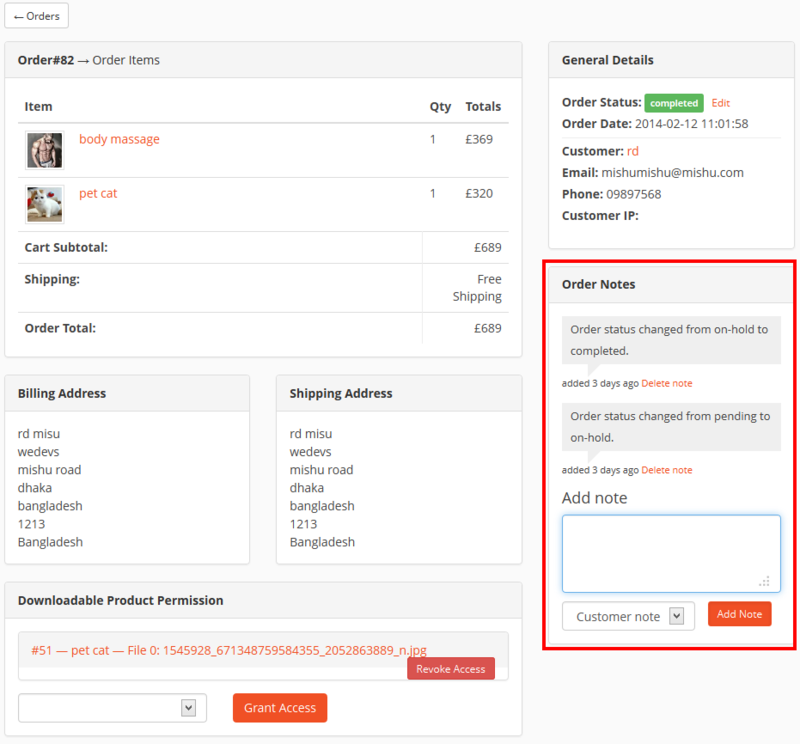 you could view order farther details manage order status and delete order from order action. Seller could view and process order status from the order listing. He could complete the order from the action. Seller could add note to an order and set the note for customer of private. For customer note, the customer will get e-mail notification for every note added. And for the private note only seller will get the e-mail notification. Seller could manage download permission if the product is downloadable. He could add or delete download file and control access to download the file. You can track the shipment of the product that you are selling. 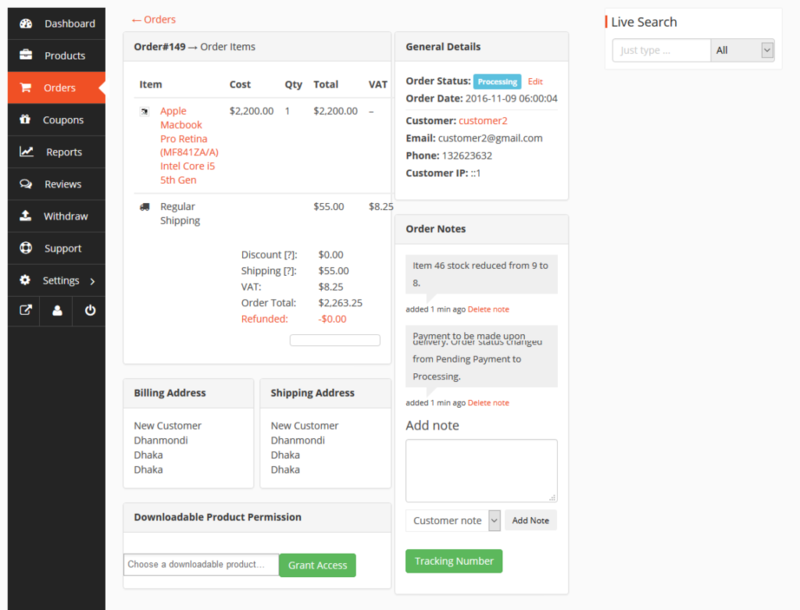 Navigate to you Seller Dashboard → Orders → Click on the order you want to add shipment tracking. At the bottom of the Order, you will find a button titled ‘Tracking Number’. A new window will pop with three options. You can provide shipping provider name or URL, Tracking number and Date shipped. 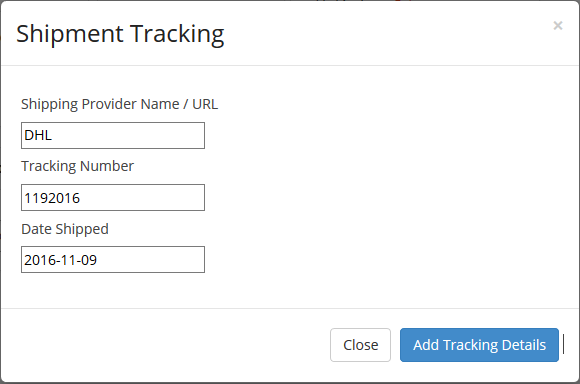 After providing the information, click on the Add Tracking Details button. The order details will be updated and a new order note will be added containing the tracking details.